Happy New Year! We talk about the “Word of the Year” concept. VKL homework! I leave in 2 weeks! Post a picture of you in your sweater that you knit between Jan 1-Mar 31 (prior swatching permissible) in the FO thread (not up yet). Any full sweaters qualify – no shrugs or ponchos. Tshirt-style sweaters ok. 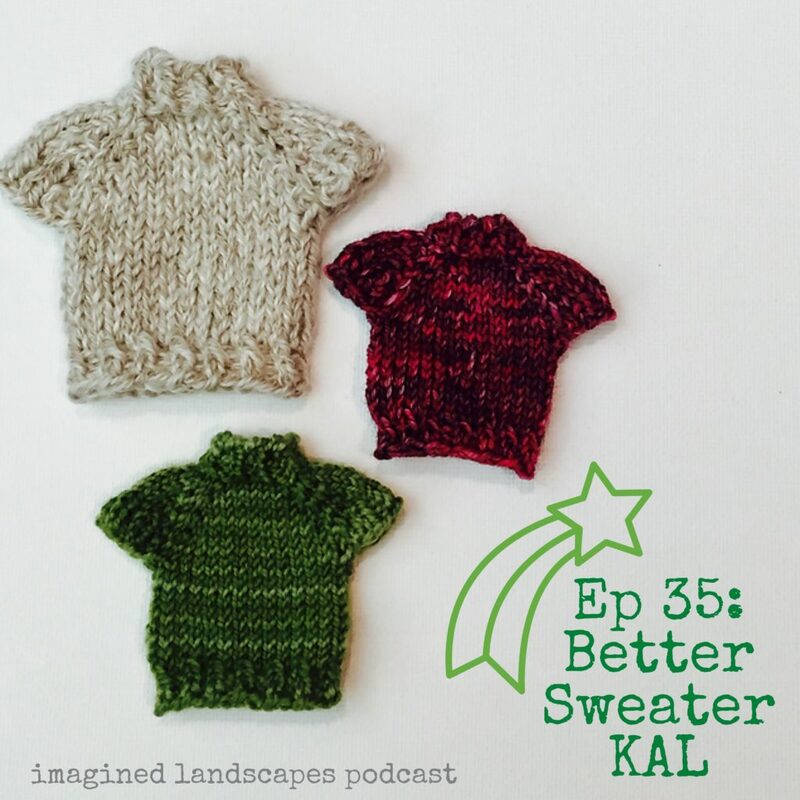 Bonus Entry – explain why you choose that pattern and any mods you made so that the sweater would be flattering. Mods include using Custom Fit, because…duh. Knitting done by Mar 31, have until April 7 to post pictures. more to come – contact us if you want to donate a prize! Sarah: Sequin – Using Custom Fit – for the third time. Katie: Dopamine. I have plain cardis, I want WOW.